A panel of judges representing eight local organisations has selected the winning design for a new Bermuda Triangle art installation at Clearwater Beach, with Bermudian Shane Mora being chosen following a Request for Proposal [RFP] process that inspired eleven qualified submissions. 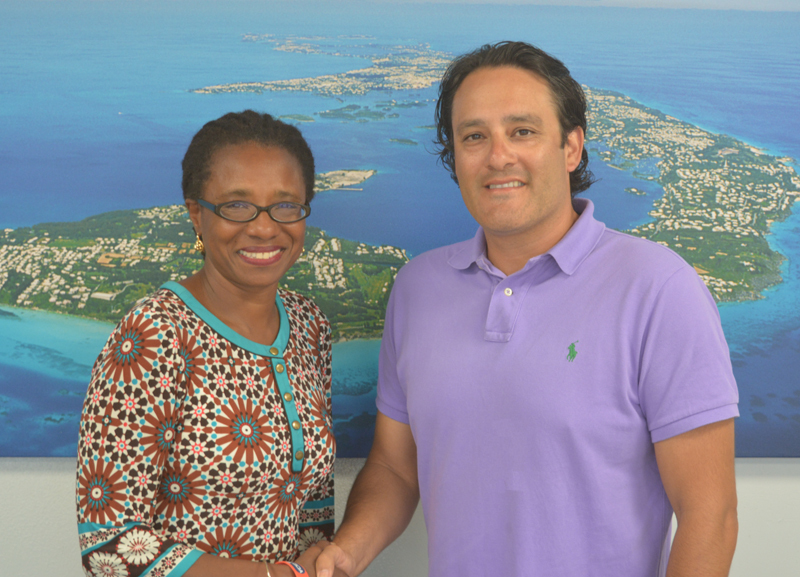 Bermuda Land Development Company, Ltd.
Ms Phillip-Fairn said: “We are very grateful to our partners who have been so supportive of this idea from the concept stage, and I know we can count on their continued support through to execution. The panel also acknowledged proposals with Honourable Mentions from John Gardner and Nicole Martin. The Bermuda Triangle design will require formal approval from the Department of Planning. After that has been accomplished a timetable will be set for the construction of Mr Mora’s design.